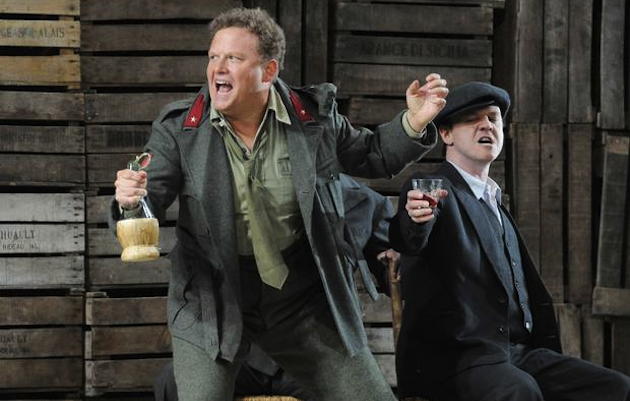 In creating a cocktail for the premiere of Opera Holland Park’s double-bill of ‘Cavalleria Rusticana’ and ‘Pagliacci’, I wanted something that not only reflects the seasonal settings of the two operas – spring/Easter for ‘Cav’, summer for ‘Pag’ – but would also be suited to the summer season of opera. I wanted this cocktail to be sparkling and fruity. A drink to be enjoyed not only pre-opera in the Oak Room at Opera Holland Park but on a Sicilian terrace or in a piazza in the Eternal City. Something Italian. Oranges feature heavily in Cavalleria Rusticana and in the Opera Holland Park production directed by Stephen Barlow, we focus on blood oranges in particular. 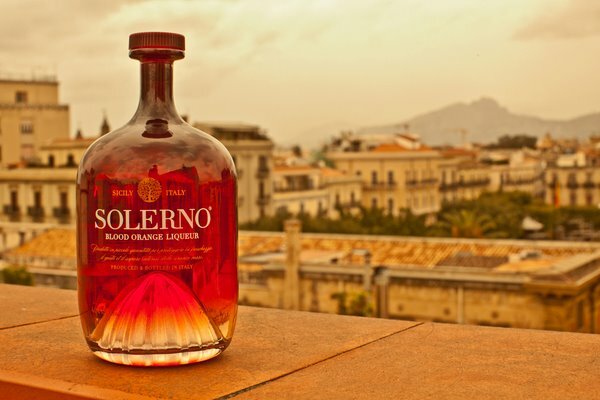 I tracked down Solerno – a new Sicilian blood orange liqueur created by the Master Distiller Lesley Gracie, the creator of Hendricks Gin. It wasn’t even commercially available in the UK at the time I was working on this recipe (it is available now) but thanks to the lovely people at Coe Vintners I was offered an advance supply to play/work with. Mixing the Solerno with gin (if ever an opera was connected with “Mother’s Ruin” – Cavalleria Rusticana is the one) and Sanguinello blood orange juice created the base flavour and then to make it a longer, more refreshing drink I added Prosecco. The cocktail is finished with a frozen quarter segment of a blood orange, and a twist of orange – inspired by a specific moment in our production. Shake well and strain into the champagne saucer. Add the frozen segment of blood orange and garnish with a twist of orange. Top up the glass with 30ml of Prosecco and stir. 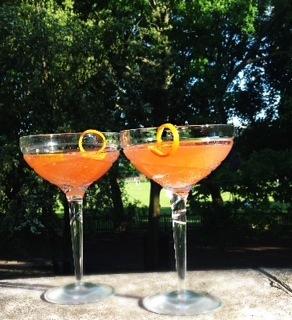 To sample this bespoke cocktail in situ in the members’ bar, Opera Holland Park have a number of privileges for ‘envoys’ and ‘ambassadors’ as Friends of OHP. As well as members’ bar access, there are priority booking facilities, Friends’ events and rehearsal invitations, among much more. For more information on privileges and details of how to join the Friends of OHP, visit the website. The Cavalleria Rusticana-Pagliacci double bill is currently on at Opera Holland Park with performances running until 28th June. For more details, and for info on other productions in the season, have a browse through the Arb’s OHP Preview.